Huntsville’s city center has always been one of the liveliest places in town. The locals used to gather around the courthouse square to not only conduct business, but to celebrate. 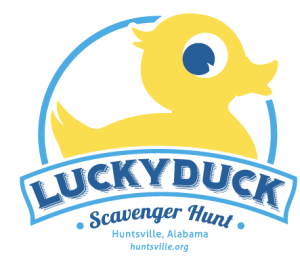 From day to night, you’ll see a combination of families, tourists and professionals enjoying the many different aspects of downtown Huntsville. Within downtown Huntsville, there are different neighborhoods – all with an individual flair worthy of exploration. A mixture of large corporations and small start-ups do business here, and the progressive and breezy atmosphere creates an infectious sense of innovation and creativity. When you’re downtown you’re just a short walk from everything you could want. Local grocers, fine dining, pizza and sandwich shops, live entertainment, shopping and friendly bars are right around the corner from one another. Thursday through Sunday evenings downtown transforms into what’s called the Arts & Entertainment Districts made up of the Quigley and Meridian areas. This allows downtown-goers to experience multiple establishments and outdoor activities with special “to-go” cups available for alcoholic beverages. These special districts are especially convenient when you’re enjoying one of our many signature festivals – like Panoply Arts Festival, Whistlestop BBQ Festival, or Rocket City Brewfest. Downtown Huntsville also offers the beauty of nature combined with the bustle of metro living, which means you can enjoy a family picnic or business lunch in Big Spring International Park or grab a sandwich to go and survey the Tennessee Valley from nearby Monte Sano Mountain– a quick 10-minute drive from downtown’s Courthouse Square. The Von Braun Center (or VBC) has been Huntsville’s premiere event and convention venue for decades and is a great spot to see the city’s best theater, ballet and indoor sports. It also home to Alabama’s longest, continuously operating symphony. The VBC and its surrounding area entertains all ages, as several art galleries and the world-class Huntsville Museum of Art are just up the street from EarlyWorks, a ground-breaking children’s museum. Our city’s center is spotted with historic neighborhoods – the largest collection of antebellum homes in our state – and classic establishments, including the Weeden House, Harrison Brothers Hardware, the Huntsville Depot and the unforgettable Alabama Constitution Village, where visitors can be transported to that historic moment in 1819 when Alabama became a state. Of course, being Huntsville, there are also high-rise condos, lofts and modest bungalows amidst all of this history. From the outskirts of town to the heart of the “Rocket City,” charm and tradition rest comfortably alongside progress and modernity. Explore Huntsville&apos;s downtown area on two wheels through the Downtown BlueBikes program - a bike-sharing program operated by Zagster. BlueBike stations are located throughout the downtown area, and they&apos;re accessible to all visitors through the tap of an app. BlueBike riders may download the Zagster app to join as members or for single use of a bicycle. The charge is $3 per hour, or up to $24 per ride. Monthly ($15) and annual ($50) memberships are also available, with no charge for the first hour of a ride.